High quality polished brass US Navy Pillbox. 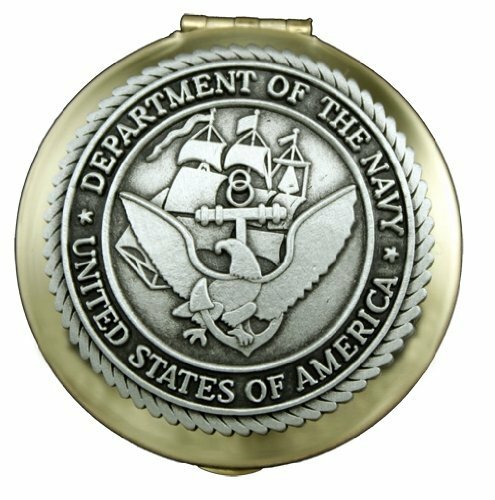 The box is adorned with a detailed Navy pewter military logo. Free velvet gift pouch included.